Madrid’s cuisine is as traditional as they come, of course. Callos, cocido, gallinejas, entresijos… And the best place to enjoy this classic delicatessen is not a Michelin-star restaurant but rather in traditional taverns. 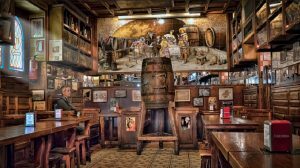 Just to show that we are right, here is a gastronomic route which includes the best taverns in Madrid. Let’s begin! We start in the traditional district of Las Huertas, where you can come across the red façade of Casa Alberto, a restaurant with plenty of history since Cervantes himself used to live in the same building and wrote part of Don Quixote in it. Impressive, right? However, we are here to eat so we recommend that you try its fantastic callos a la madrileña. Soft, full of flavour… especially if you accompany them with a delicious house vermouth. Yet another restaurant with tradition and history since it is the oldest tavern in Madrid, founded back in 1827. They say that King Alfonso XII himself dropped by every now and then for a drink. We recommend this temple of local cuisine so you can fill your stomach with its magnificent cocido. With soup, chickpeas and extras, there are few taverns in Madrid which offer such a delicious dish. Spanish omelette is a very popular dish in Madrid. We won’t start to debate whether it’s better with or without onion but we will recommend that you check out La Ardosa, a tavern on Calle Colón where you can try the unbelievable and unique Spanish omelette that they prepare. Made with eggs and potatoes of the highest quality, 100% homemade and cooked just right, not too runny and not overcooked. Simply spectacular! By the way, if you have to go to the restroom you will have to go under the bar, another of the charming characteristics of this special place. A lot of people don’t know that aside from the famous offal tapas (entresijos, gallinejas, pig’s ear and other tripe-based dishes), cod is a traditional Madrid dish. And the city doesn’t even have a port! One of the best places to enjoy this fish is Casa Labra, located on Calle Tetuán, 12. Its soldaditos de pavía, a cod-based recipe, is a treat for regulars and visitors alike, with a golden and crunchy breading covering the juiciest of fish, a delight that you can enjoy in this bar which opened back in the Nineteenth century. As an anecdote, this is where the Spanish Socialist Party was founded in 1879. 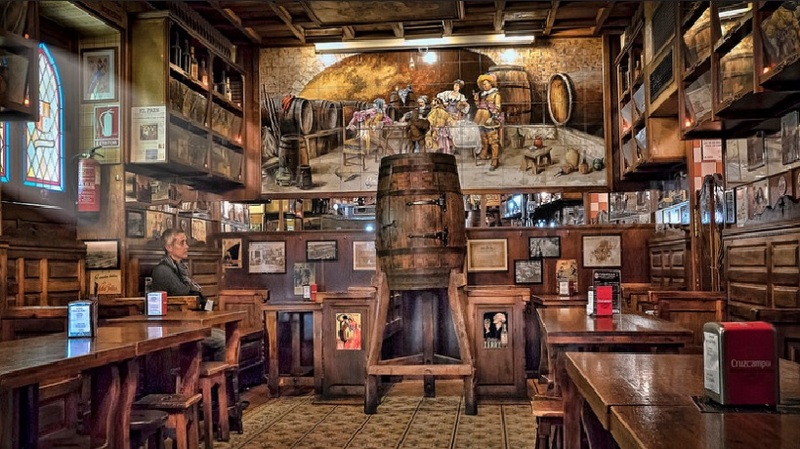 Which of these taverns in Madrid will you visit first?